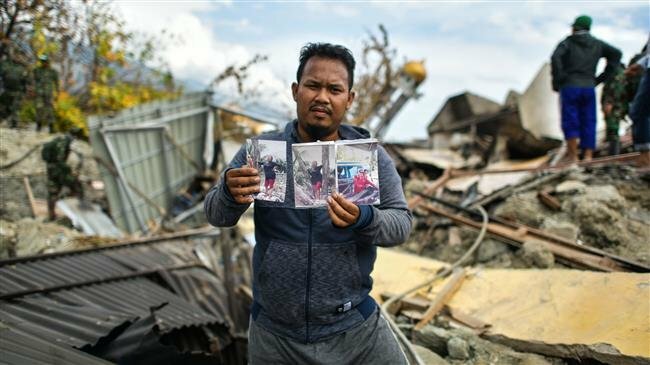 Probashbangla24 online Desk : As many as 5,000 people are believed missing from the quake and tsunami that struck Indonesia’s Palu city, an official said Sunday, an indication that far more may have perished in the twin disaster than the current toll suggests. Indonesia’s disaster agency say they have recovered 1,763 bodies so far from the 7.5-magnitude and subsequent tsunami that struck Sulawesi on 28 September. But there are fears that two of the hardest-hit neighbourhoods in Palu — Petobo and Balaroa — could contain thousands more victims, swallowed up by the ground as it engulfed whole communities. Nugroho said the search for the unaccounted would continue until 11 October, at which point they would be listed as missing, presumed dead.